Ageing deposits and a lack of discoveries in recent years are leading the gold sector to big mergers, while exploration spending is on the rise again. BNamericas' mining team takes a look at the trends and the projects to watch in Latin America in the coming year. 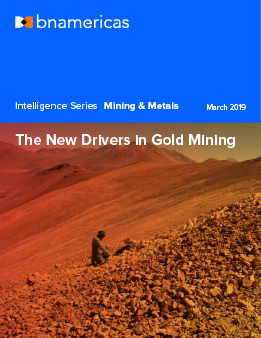 How will the last decade’s lack of discoveries drive gold miners’ strategies in 2019?